The icon of brute warrior spirit lies in the ancient muscles armor style worn by the Greek, Spartans, Romans, and more historical fighters. 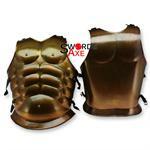 The cuirass protects the chest, stomach, upper and lower back, and parts of the shoulders and neck. 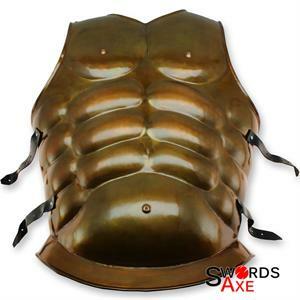 The raw brutal look of this muscles armor has struck fear in the hearts of enemies, and proudly won decisive victories. 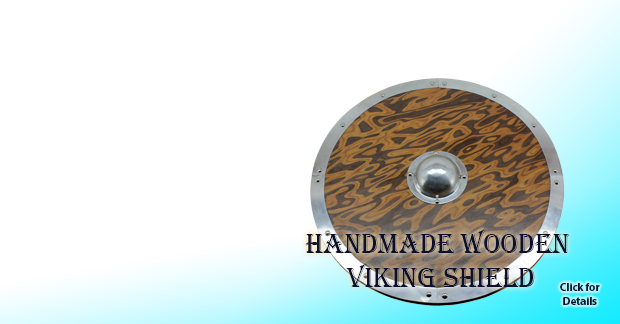 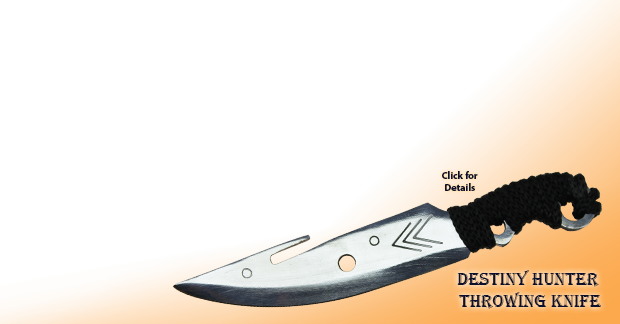 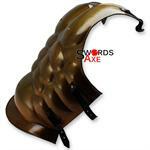 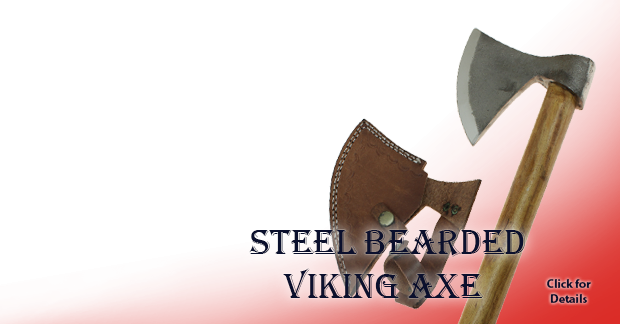 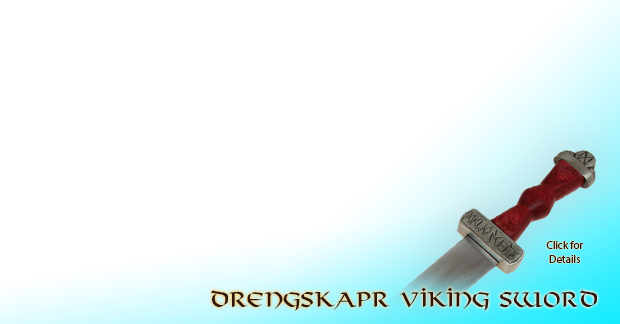 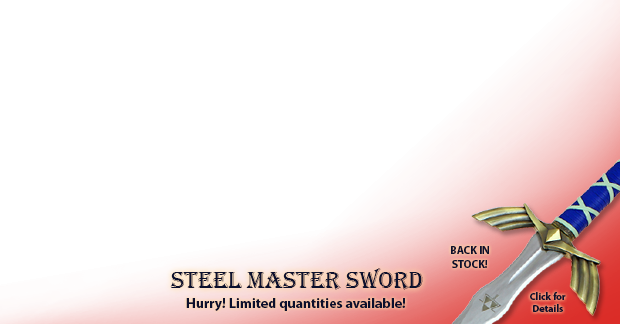 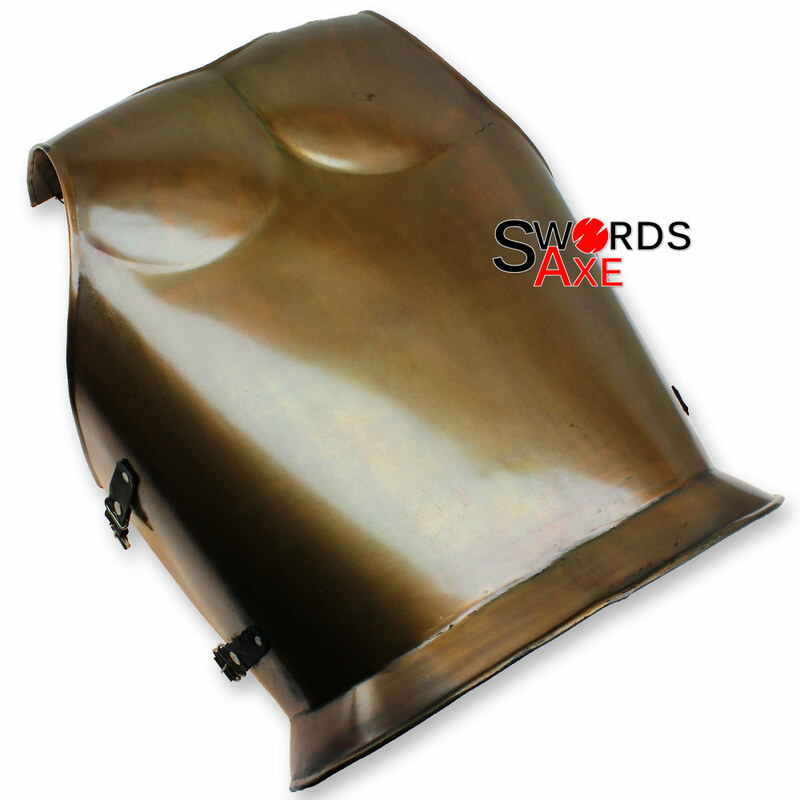 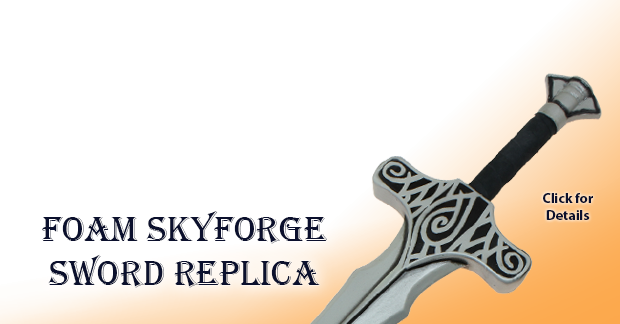 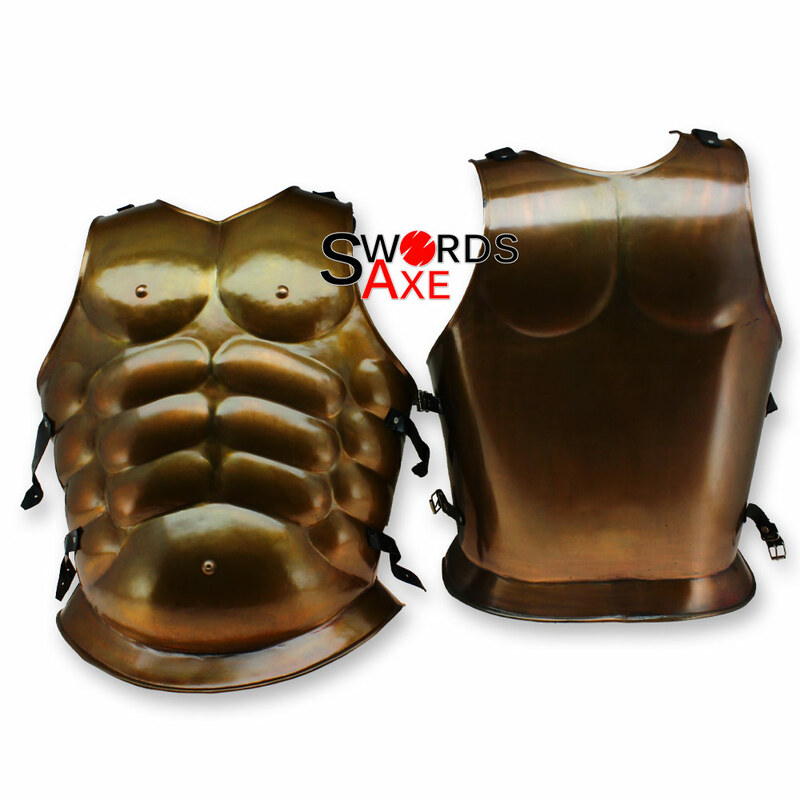 This is a perfect rendition of that famous armor handmade and forged from carbon steel with a brazen brass finish. 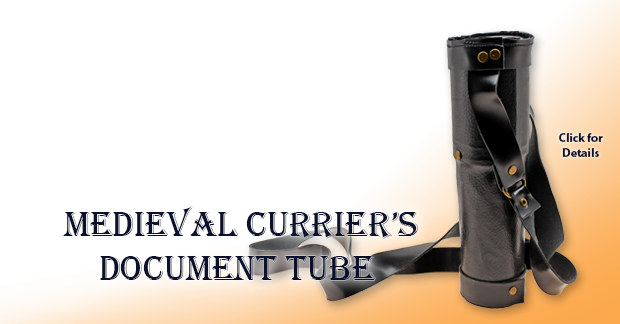 It features genuine leather straps with buckles for secure placement. 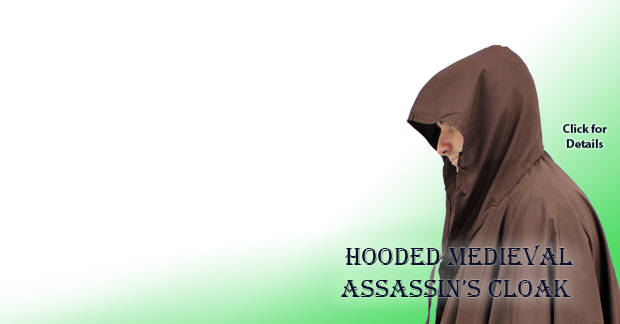 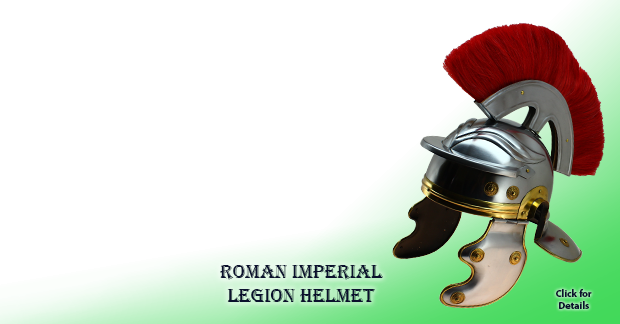 Wear this cuirass with cotton padding underneath for maximum comfort. We recommend coating the metal with oil or silicone preservative during storage of the item.